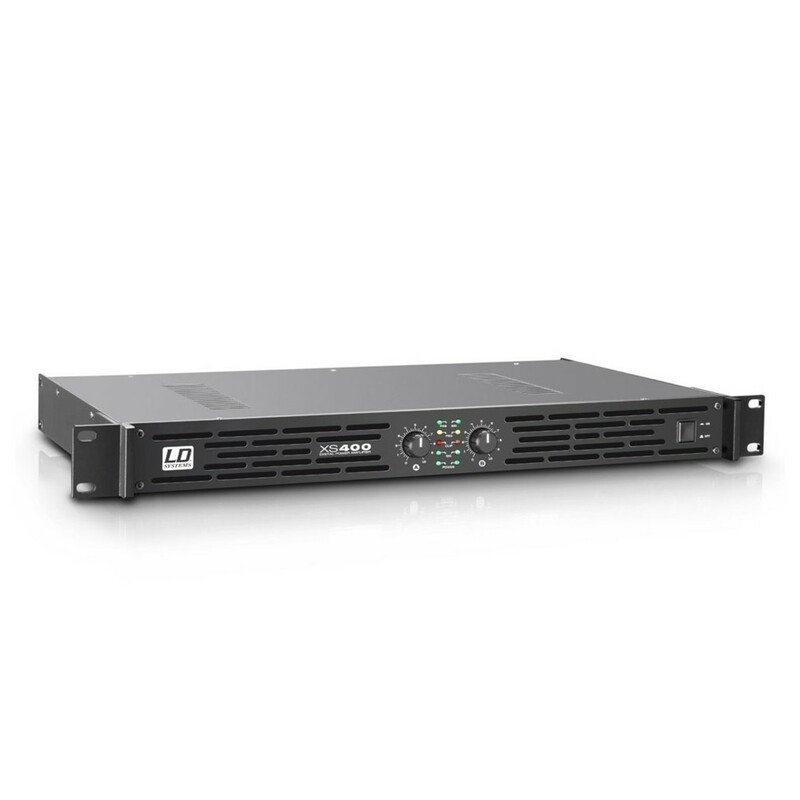 The LD Systems XS400 Power Amplifier is a high quality amplifier, with Class D output circuitry and many safety features for reliable operation. 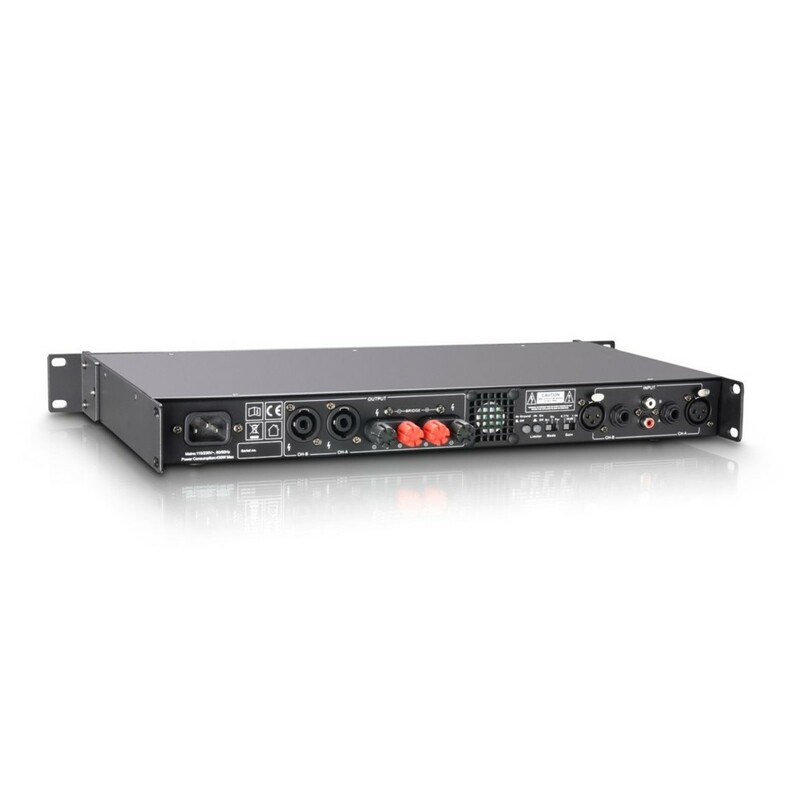 The class D circuitry provides 200 watts to each of the two output channels, with transparency, wide dynamic response and superb impulse fidelity. 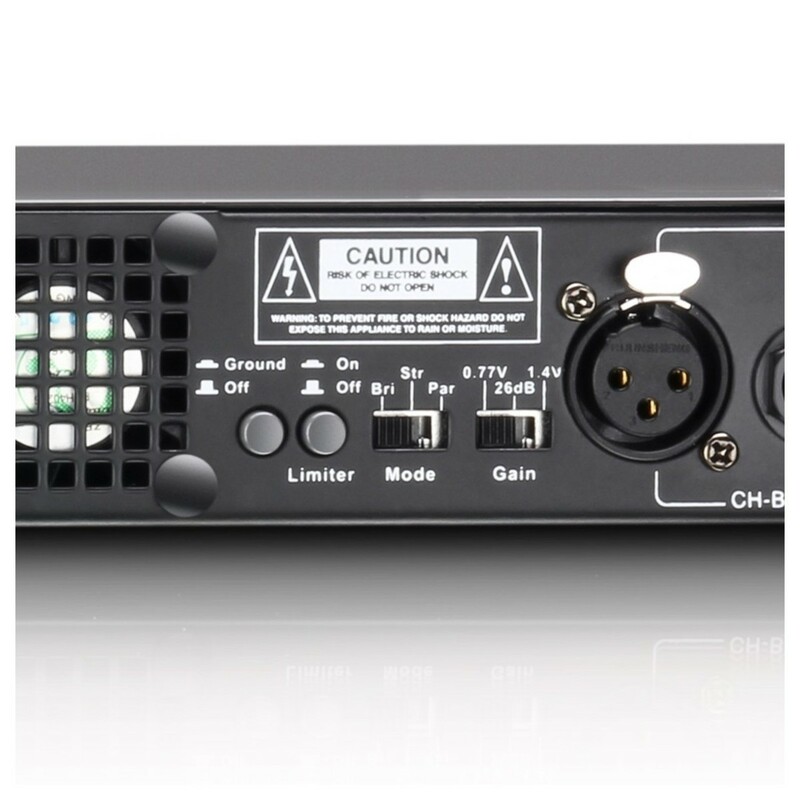 The amplifier can be used in stereo or bridged modes, with a variety of connections, XLR, RCA and jack input connectors, with Speakon-compatible sockets and screw terminals as outputs, for use with a variety of other audio equipment. The lightweight design weighs just 3.4 kg and fits into 1U of a standard 19'' rack case, making the XS400 easy to transport and set up at a venue or on tour. 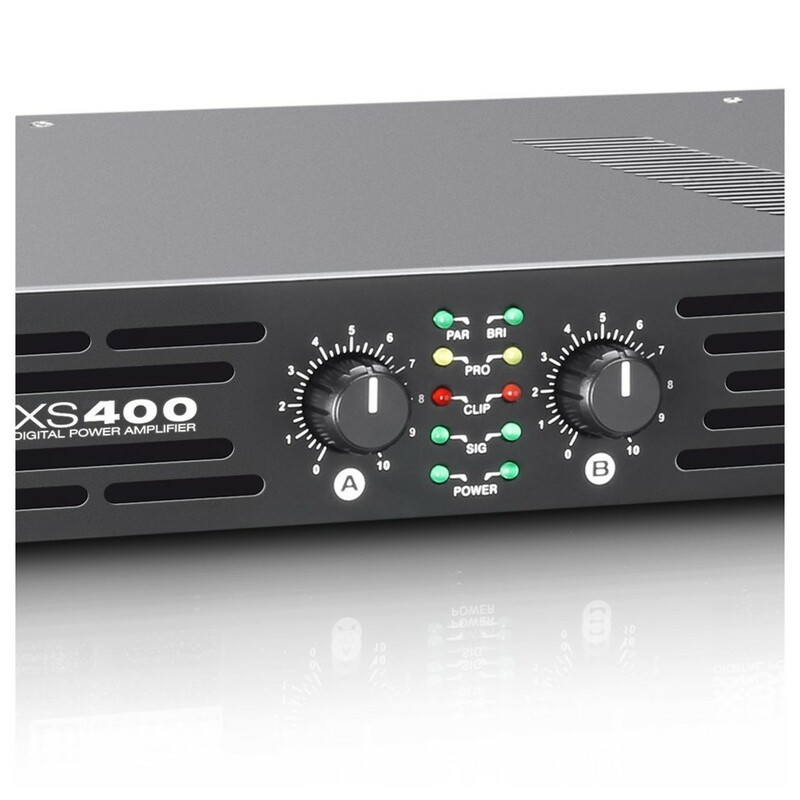 The XS400 Power Amplifier has many safety features to ensure its longevity and protect your speakers and other equipment. The Soft Start feature will protect your loudspeakers by muting the usual pops and clicks you would hear when turning the amplifier on. There are also comprehensive electrical safety features to protect against excessive currents, voltages and thermal overload. A ground lift switch also helps to eliminate ground hum and isolate earth points.